Here is my first look using the new Giorgio Armani Eyes To Kill Intense shadows (ETK). It was interesting using my fingers to apply this potted shadow. The only time I use my fingers for eye makeup application is smoothing on primer. I found it challenging to maintain control like I can with a brush. Next time I try these shades out I will put on the ETK shades first then my crease colors to blend out. I really like this red color. I hadn’t planned on buying this shade because I haven’t had much luck with red on black colors. (Evil eye glare at Mac’s Beauty Marked and Fyrinnae’s Monarch Butterfly.) This is the first time a shade like this appears nicely on my skin versus a dull pointless black. Unfortunately, Lust Red looks somewhat brown on my eyes in the pictures. 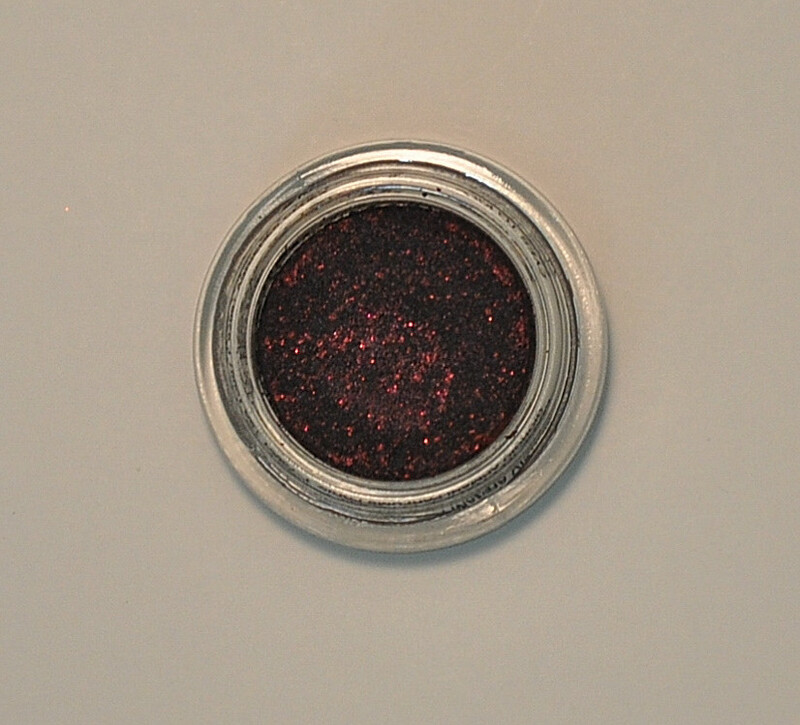 To the naked eye, you can see the soft black with a strong red shimmer. Click here for a swatch of Lust Red; here for Sweet Fire. UPDATE: I tried out Lust Red again using a damp small concealer brush (synthetic). The revised look isn’t a carbon copy of the original post. I didn’t use Sweet Fire, but used a pale Inglot pink (#29) to blend out. The Inglot shade was also applied to my inner corner. I applying this shade with a brush helps the red shine through a little more. * You can run a search to find swatches of these shades in earlier posts. Even though a base is not supposed to be necessary, I used on anyway because I needed a base for the crease and brow colors. I used a Mac 217 to put Swiss Chocolate in my crease. This shade is a little darker than my skin tone, but has a red undertone. I used a flat shader brush to apply my highlight shade and to blend it down to my crease color. 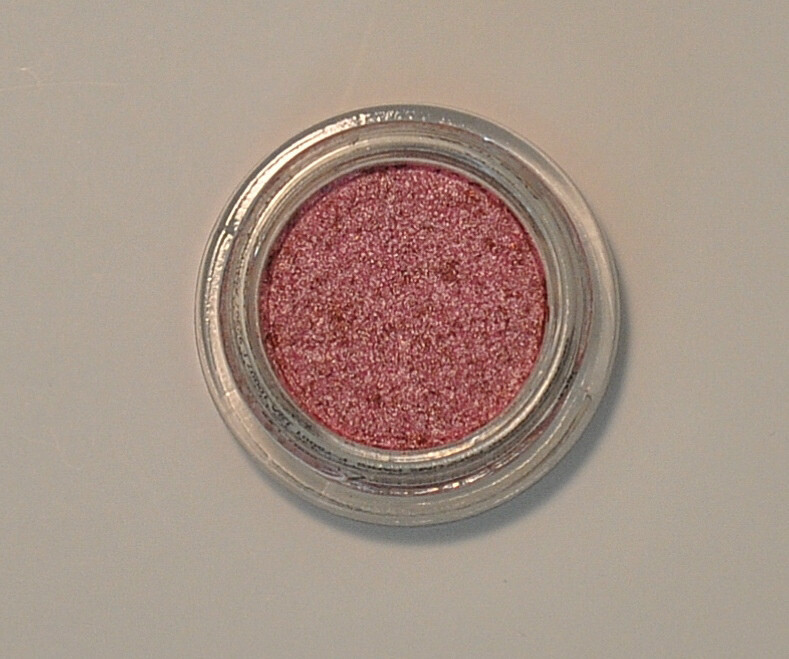 ETK No 2 color (Lust Red) was concentrated on my lid and blended up. It was virtually impossible to get a nice edge to my outer corner (sharp or rounded) using my fingers. I used a piece of paper to create an angle for the outer edge. I took Sweet Fire (ETK No 7) and put it in my inner corner and along the edges of Lust Red to help with the fade. I also lightly patted a shimmery white shade to the tear duct area to help it stand out more. I took a short shader brush and attempted to apply No 2 and 7 on my lower lash line. These shadows are immune to brushes, but I haven’t given up. Hi, I was looking at your Armani Eyes to kill swatches and I saw your comment about the brushes and how they don’t work well with these shadows… I felt the same way until I tried using my Mac 252 or 242 with them, and have found great success with those brushes and these shadows. Keep up the great work with your blog!! I will have to check out Mac’s 242. I have Sigma’s version of the Mac 252. Thanks for the tip and compliment!! !